Adidas Originals Equipment Support MID ADV Knit Trainers In Dark Blue And Core Black, Prime knit uppers in a dark blue and core black stripe design with lace fastening in dark blue and black plastic lace loops which hold the signature Adidas Three Stripes on the instep and outstep woven in black. An integral knit tongue with a suede Adidas Equipment logo patch in blue and black and an EQT logo is embroidered at the bottom of the lace stand in white. 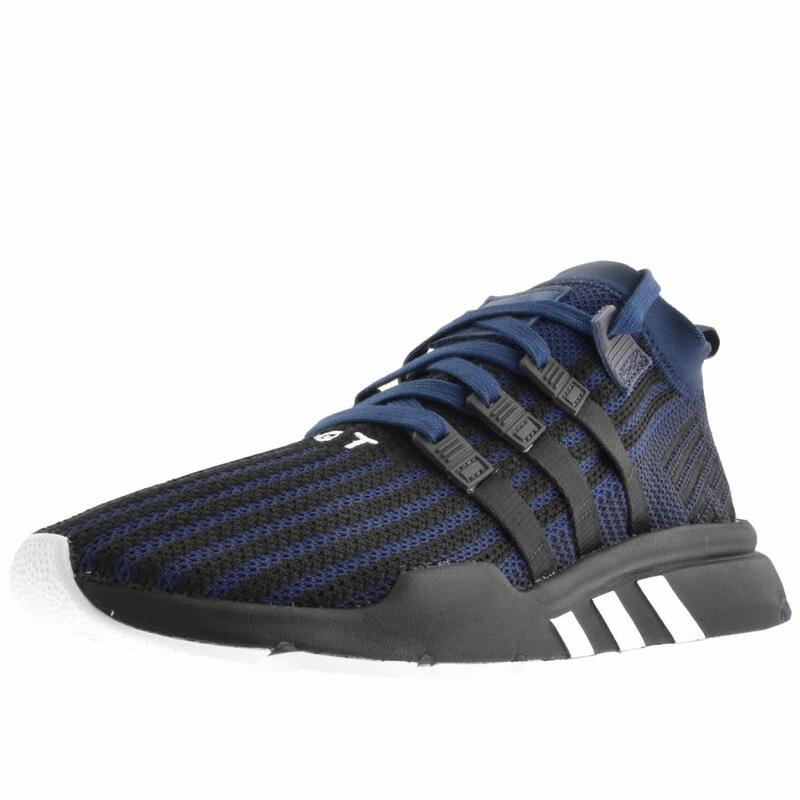 A blue woven trim on the heel with embroidered detailing in black with a dark blue pull loop and an rubberised EQT Support logo in black. Ortholite insoles for added comfort with a black compression moulded EVA midsole featuring Adidas Three Stripes on the instep in black and outstep in white and a white undersole. Part Of The Brand New Collection Of Adidas Originals Trainers and Flip Flops Live.